As a blogger I am constantly receiving emails, some nice, many spammy, and some downright bizarre! However, a few weeks ago I was lucky enough to receive an email from the lovely Lucie inviting me to a pie event at Asda. I was rather unclear as to what the event would actually entail. In my head I saw rows of pie waiting to be tasted and me giving them marks out of ten, saying things like, "yes this one has too much pastry". In fact I already had my responses rehearsed in my mind based on the professional version of Masterchef, "you can't put that rubbish in front of Michel" type of thing. I was also interested in having a general nose round Asda' head office, it's based in Leeds city centre and I've driven past it many times and wondered what goes on in there. It was very lovely inside and looks like a great place to work. I was also pleased to see that most people had gone when we arrived there at 6pm. There is nothing more depressing than seeing people working past 5.30pm. Upon arriving we were ushered to "The Green House" where it turns out, all the magic happens. It was like a home from home, lovely dining table surrounded by cook books (well, not our home obviously, but a nice home) and a large kitchen, something akin to a high tech home economics room. There were some other bloggers attending the events so I did the inevitable staring at name badges and trying to decipher hand writing and work out who was who. 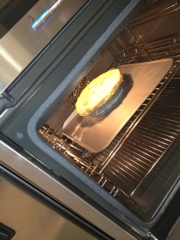 The event itself comprised of being shown how Asda make their pies, which you can see in the pictures below. They area actually made in a far more homely fashion than I imagined and we were shown the methods used and it is all exactly how I would make a pie at home myself. The Asda team work together to try out different ideas and flavours and then do complicated stuff where they work out exactly how the pie will be made and the costs involved. The Pork Farms chefs onsite showed us how to make the perfect beef and ale pie, the smell was overpowering and I think it made us all a tiny bit starving seeing as how it was tea time and all. 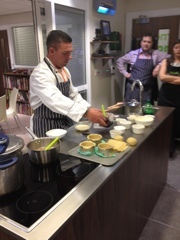 There were some really good tips about how to thicken the sauce up in various ways and also about reserving some of the beer for the end of the sauce creation process to further flavour the mixture with that distinctive "ale" taste. 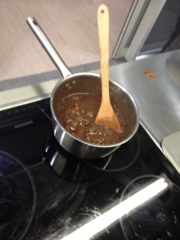 The pie mixture just being finished off. 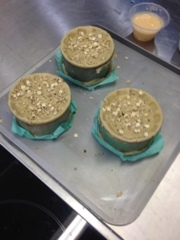 Finished pies about to be cooked! I was pretty impressed to hear that Asda use local ingredients wherever possible and actually seek out boutique producers like Joule's Beer Makers for the ale element of the pie. We actually had a chance to try some ales (more later!). We were quite surprised to find out that part of the evening involved a pie making competition for the bloggers present! I felt completely out of my comfort zone as I have never made a pie before and am hopeless with pastry, however luckily the pastry was pre-made so all we had to do was roll it out. 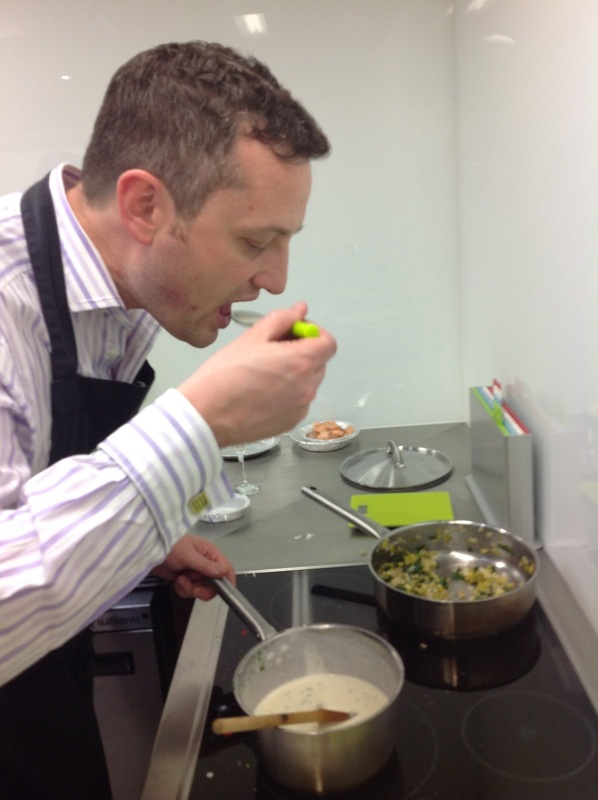 We were given a large selection of ingredients to choose from (it really was like Masterchef in that respect!) and set on our way! My husband (who I had persuaded to go with me) and I decided to go for something a bit different to the norm so we made a salmon and creamed leek pie with a puff pastry topping. Hubby doing some tasting for seasoning purposes! 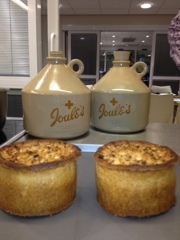 We tasted some of the lovely Joule's ale as our pies were baking (my husband enjoyed this part) which was a bit of a treat, I like blonde ales (I like to claim it cures my heartburn!) and it was nice to try the different varieties. We all then sat at the lovely dining table and ate the pies. 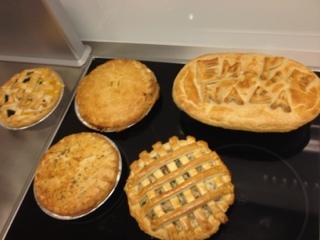 There were some interesting and varied ideas including an em-pie-nada which was chorizo, chicken and tomato sauce and a vegetarian layered pie with med veg and cheese. Everyone had a taste and then the winner was announced, it was interesting to see how competitive everyone had got during the course of the evening. At one stage I promised hubby that I would definitely cry if we didn't win. In the event we didn't win and the worthy winners were the creators of the em-pie-nada, one of which was the lovely Laura from Are We Nearly There Yet Mummy? Laura and her friend (sorry I've forgotten your name (!)) were presented with £50 Asda vouchers each and looked absolutely over the moon (it was the joy of winning rather than the money I think!). Sadly I think our pie actually came last. Poor pie. We really enjoyed our evening with Asda and particularly enjoyed being shown round the tasting rooms and seeing the little computers behind little windows where people do blind tastings. It was all so "un-corporate" and made the people of Asda seem real rather than a faceless large company. 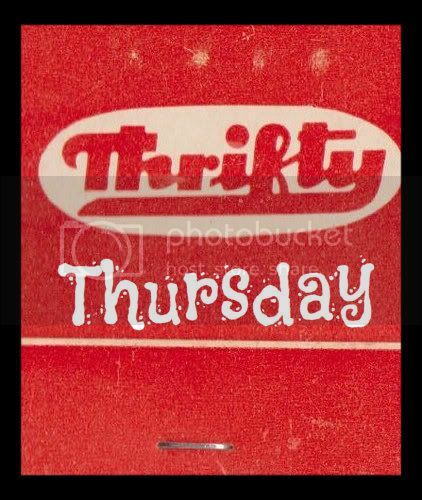 We really enjoyed our evening, and now you can have a little taste of Asda too! I've giving away a £25 Asda gift voucher to someone at random through this handy rafflecopter widget. The giveaway ends on 25th November, I will notify the winner on 27th November. That looks like a fantastic event - wish they would do one down in London! There aren't many events up north Emma - we are glad of anything! Looks like it was a great event, anything involving pie can't be bad! Thanks, why didn't we win, WHYYY!!! I like pie's :) Think Salmon and creamed leek pie sounds yummy! It was Katherine, I had tears in my eyes when we didn't win! Sounds like a great event! Probably best that you didn't try the ales before you made the pies. I also agree with above, you can never have too much pastry in a pie! I shall never look at an Asda pie in the same way again! Didn't know the effort that goes into making them! Ahh good on you for doing something completely out of your comfort zone! Sounds like you had a great day! Wow this looks great, I was invited too but with a newborn couldn't make it. Got to eat some though! They're rather impressive looking pies that you all have created there. Well done! Ooh. My blog could use some pie. Carolin Mader you were my winner!